Venereal diseases were common in early Spokane, and desperate suffers sought out quack treatments. Early Spokane was a town full of working men and working women. For laborers throughout the region the city was a refuge and a pleasuring ground. Miners, loggers, and agricultural workers would come to Spokane to spend their pay on liquor, gambling, and women. They would leave town with empty pockets, aching heads, and sometimes, with a venereal disease. In 1910 the Bodie building housed the offices of Dr. Taylor, one of Spokane's many specialists in treating what were often called "the diseases of men." In a newspaper advertisement, Taylor boasted that "My modern up-to-date methods effect a certain and speedy cure" for "men's disorders." Nor was he alone in offering such services, the same issue of the Spokane Daily Chronicle has advertisements for Dr. Kelly, Dr. Fred M. Klussman, and the Spokane Medical Institute, all located within a few blocks and all offering to cure men of their unnamed diseases. Nearly every American city of the time period had scores of similar clinics. Unfortunately, there were no effective cures for syphilis or gonorrhea in 1910, not in Spokane or anywhere else. Taylor and the others treated venereal disease with everything from topical applications of mercury and silver nitrate to herbal and chemical medicines to be ingested. Often the "doctors" at these clinics had little or no actual medical training. Potential patients would be lured into the clinics and frightened into paying for treatment by the spectacle of wax figures which graphically illustrated the advance of syphilis and gonorrhea. 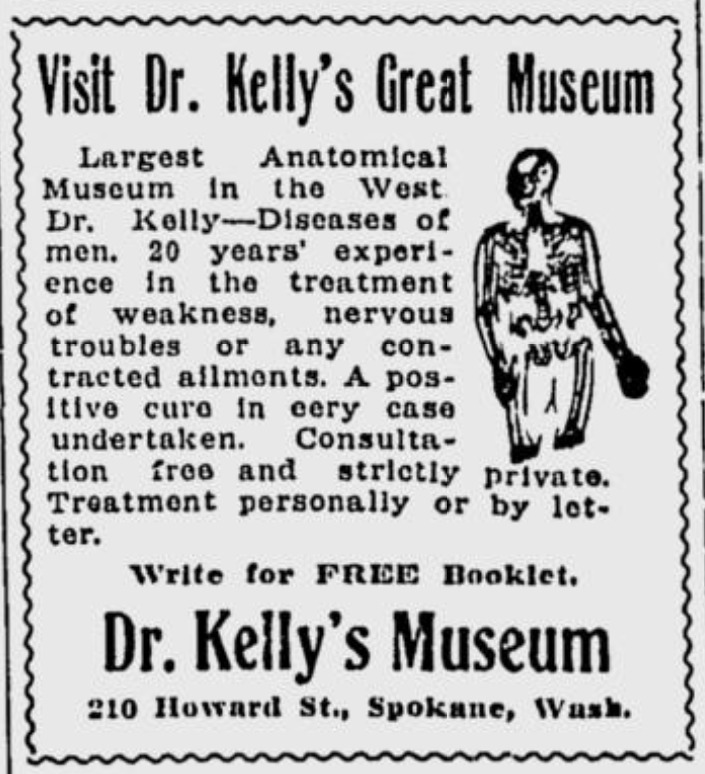 In Spokane, Dr. Kelly and the Spokane Medical Institute each advertised free "museums" of such figures. Historians are not sure how many Americans had venereal diseases at that time, but there are abundant hints that they were common. During the First World War, Army doctors identified almost 400,000 soldiers with venereal disease. Scott Joplin and Al Capone and even Abraham Lincoln are believed to have carried syphilis. 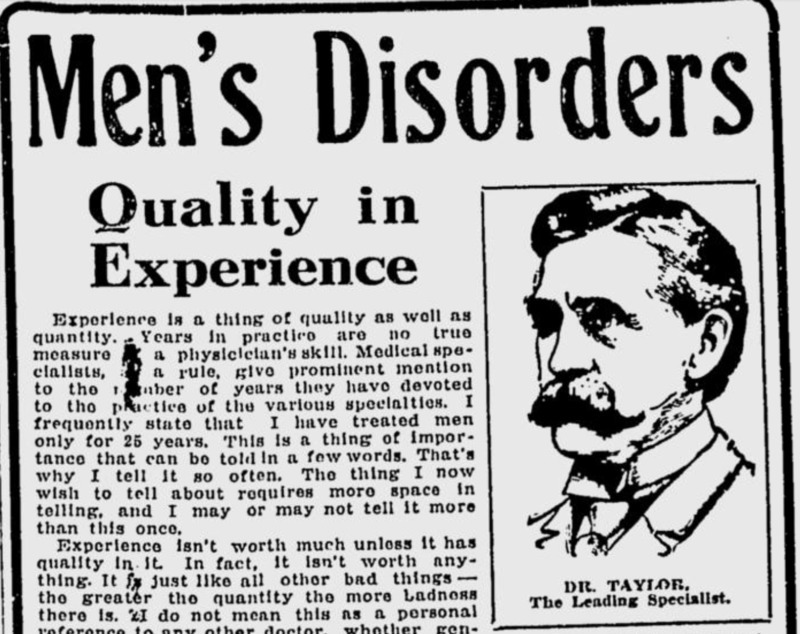 In 1910, "Men's Disorders" would have been clearly understood to mean venereal diseases. Dr. Taylor was one of many physicians peddling ineffective cures at this time. ~ Source: Spokane Daily Chronicle - May 14, 1910, pp. 25. Kelley's Museum: Offices for the treatment of venereal disease would often present themselves as museums, as in this advertisement. Inside, wax figures would show the progress of venereal disease in gruesome detail. ~ Source: Spokane Daily Chronicle - May 14, 1910, pp. 25. 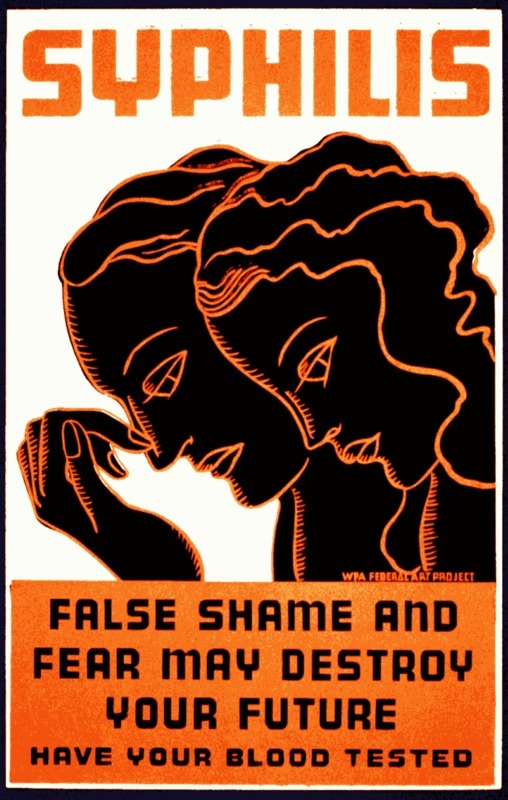 Anti VD Poster: In 1938, Congress passed the National Venereal Disease Control Act, leading to a public campaign against these illnesses. ~ Source: Courtesy of the Wikimedia Foundation. Larry Cebula, “Diseases of Men,” Spokane Historical, accessed April 20, 2019, https://spokanehistorical.org/items/show/164. Venereal disease in a frontier town. 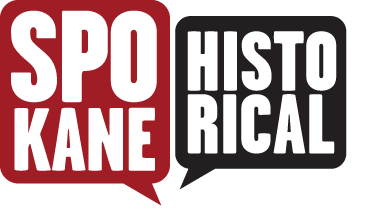 This work is licensed by Eastern Washington University under a Creative Commons Attribution-NonCommercial-ShareAlike 4.0 International License.